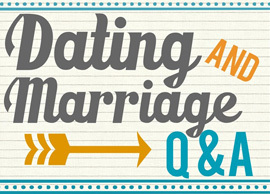 When it comes to senior dating, we know that you have a lot of questions. Whether you’re recently divorced, widowed, or you are just getting back into dating for any other reason, a lot has changed over the years. It can be hard to navigate the world of 21st century dating, so we’ve taken the time to answer a few of the most frequently asked questions about senior dating in 2016. Yes. Over the years, you may have heard some crazy stories of online stalkers and other predators, but these cases are actually very rare. If you take the right precautions, like getting to know someone online a bit and then meeting them in a public place, you will have a safe and enjoyable experience. Senior dating isn’t always about romance, but sometimes it is! If you are looking for a fun travel companion, then chemistry really won’t matter much at all. If you are looking for romance, then it’s a pretty big part of finding the right person to share the rest of your life with. What Will My Kids Think of Me Going on Online Dates? If your kids are adults, or if they’re in middle school or high school, you should probably talk to them about your decision to start dating again. Don’t worry what they’ll think of you, though. It may take them some time to adjust to the idea of Mom or Dad dating, but they’ve grown up in the age of OkCupid and Tinder. They’re not going to judge you for finding a senior dating site and meeting someone you like. How Do I Move from Talking Online to Going Out on a Real Date? Senior dating is all about finding a connection with someone else and deciding if you’ll be good companions – romantic or platonic. That doesn’t mean that you have to spend an eternity sending messages back and forth online, though. After a few messages, we recommend saying something like, “Why don’t we continue this conversation over coffee on Saturday?” Taking the step to suggest meeting in person is a good way to see if the other person is ready to meet and carry on or if you should move on and talk with other potential companions. Senior dating really doesn’t have to be very hard or complex. With the right dating sight and a bit of patience, you can meet new friends or your next romantic partner. Above all else, remember to relax and enjoy!